Continuous fog output from our Rapid Change Technology Heat Exchanger. The Battle Fogger incorporates a large heating block, a strong whisper-quiet pump and our award-winning Rapid Change Technology. The machine has a large one-gallon integrated fluid tank that prevents leaks and drips, a built-in handle, special hammer-tone finish that resists scratching and wear and a built-in 4” hose adapter. 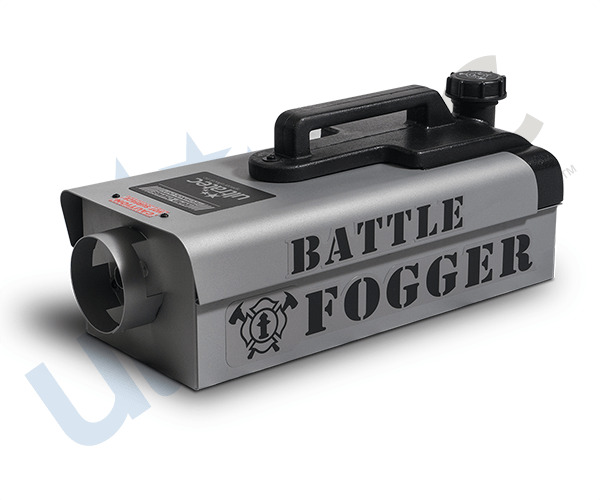 The Battle Fogger has our standard One-Year Warranty on all parts and service and a Lifetime Warranty on the heat exchanger.